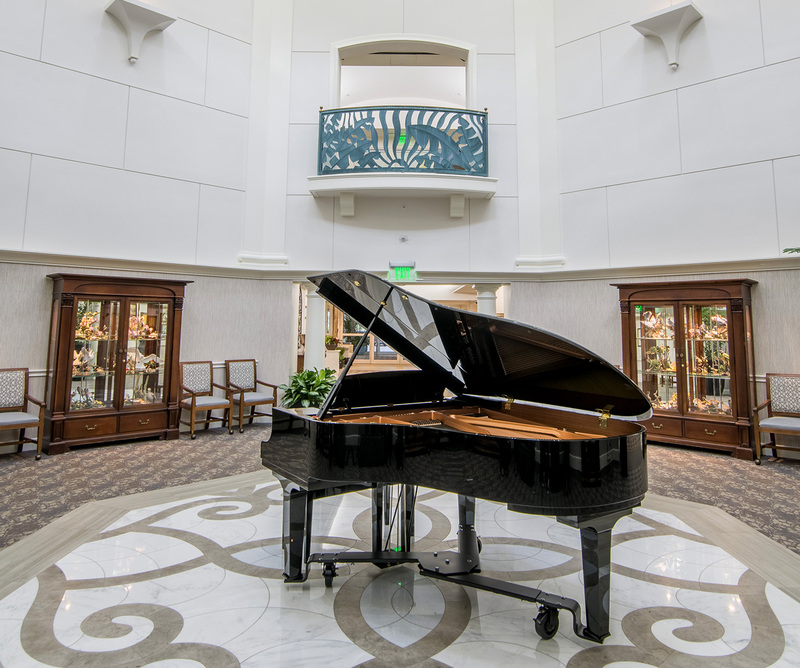 Nestled within the original 83-acre campus of Moorings Park lies The Chateau®, a Medicare-Certified Skilled Nursing center providing Short-Term Therapy, Long-Term Care, Outpatient Therapy and Memory Care Services. 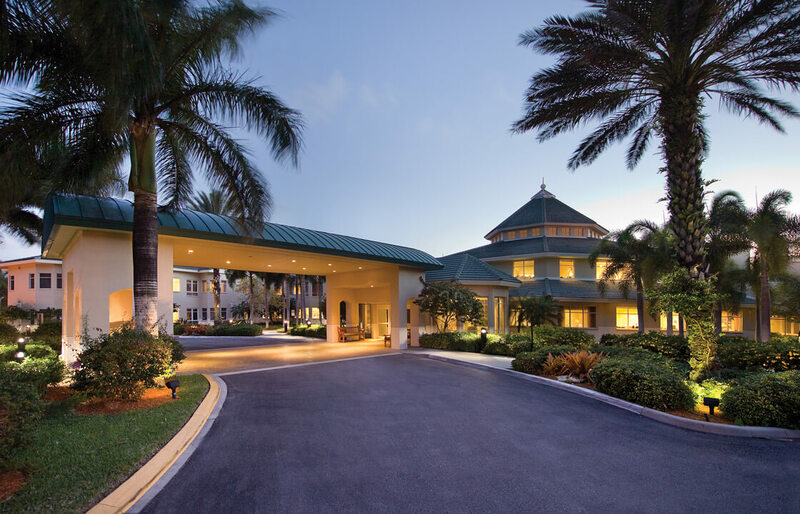 The 5-Star rated Chateau at Moorings Park is a recipient of the Governor's Gold Seal Award, a testament to our commitment to providing Simply the Best® quality healthcare and services available in the area. Chateau residents will enjoy a full calendar of social, recreational and spiritual activities, including music therapy and chaplaincy service. The Chateau provides short-term rehabilitation services including Physical, Occupational and Speech therapies following surgical procedures such as: hip and knee replacement, cardiac care, neurosurgery and general surgery. Residents who utilize The Chateau for rehabilitation services will receive a personal therapy plan based on the type of surgery they are to receive, individual capabilities and their personal goals. Residents are evaluated by a licensed therapist within 24 hours of their arrival. If the hospital discharges a resident late in the day, we make it a priority to evaluate him or her early the next morning in order to begin therapy as soon as possible, determining an individualized plan of care and goals. 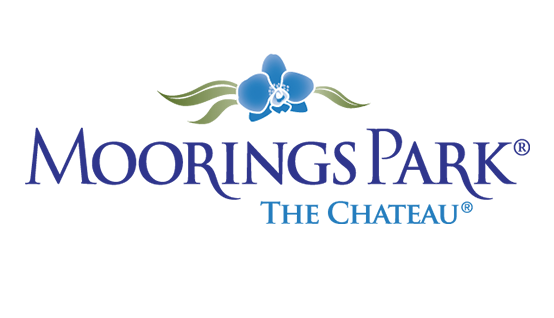 For residents who need outpatient therapies upon discharge from The Chateau, our Moorings Park therapists offer those services right on our campus. 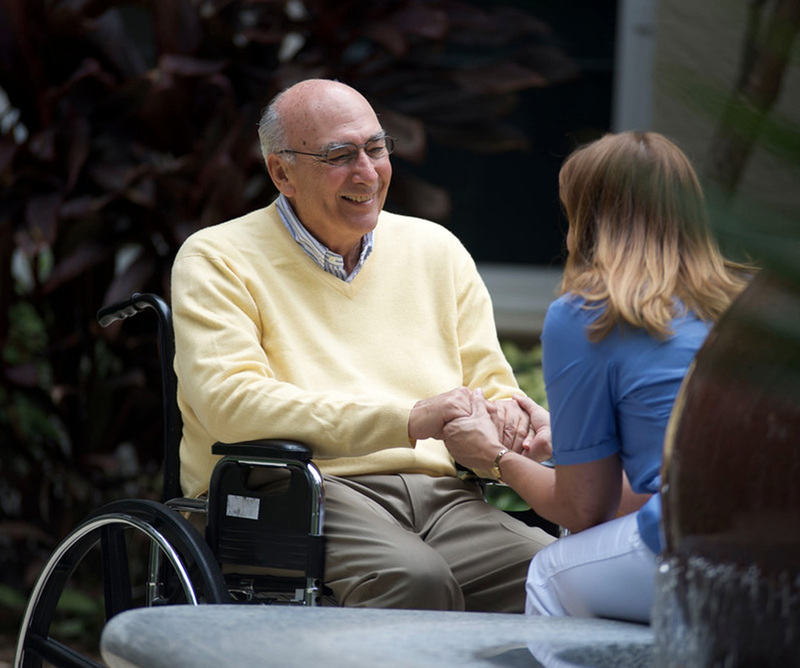 Our Long Term Care program offers support for a variety of chronic illnesses or disabilities. Residents have the choice of spacious, tastefully furnished private and semi-private rooms or they can bring their own favorite pieces from home to retain the continuity of familiar surroundings. By working closely with our residents' physicians and family members, we create individualized care plans that address long-term needs. 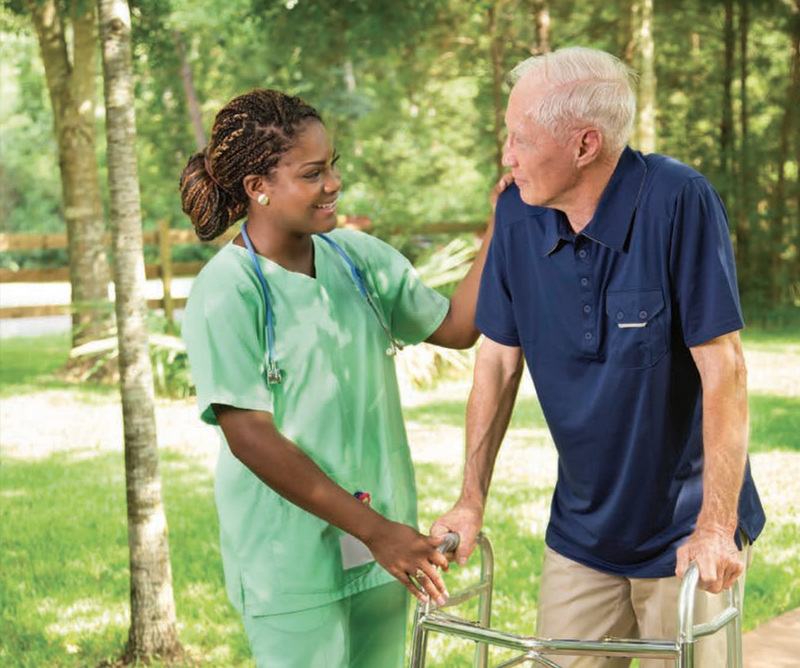 Whether participating in an abundance of planned activities, or enjoying quiet time in bright, airy rooms, in the lounges, or on our lushly landscaped campus grounds, The Chateau offers its guests the utmost in long-term care, including daily activities such as assistance with hygiene, dressing and eating. 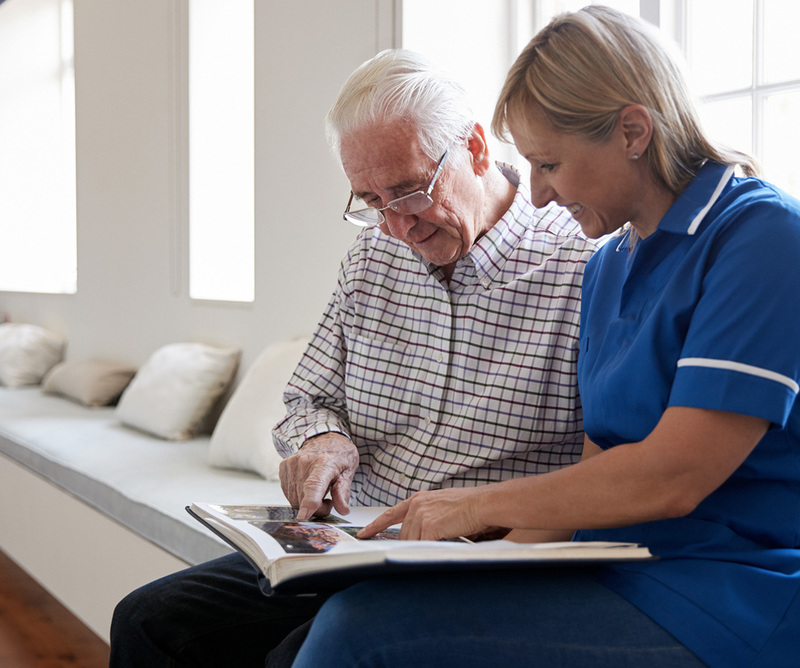 We care, engage and support our residents and their families through the later stages of Alzheimer's and other related dementias the same way we would care for our own loved ones. Our expertise in current memory care practices and our commitment to continued research ensures an unsurpassed quality of care. When a loved one experiences memory loss, the new Best Friends Approach™ at Moorings Park® offers personalized service in a comfortable setting. Our Memory Care program addresses the needs of those with memory loss or who are in the later stages of Alzheimer's disease or some other form of dementia. We engage residents in meaningful activity programs designed to stimulate cognitive function. Individualized care plans take many forms including incorporating a resident's life story into his or her plan. Family centered programs enhance interaction and participation, while outdoor gardens and courtyards foster a sense of independence in a secured setting. We help patients achieve the highest level of independence possible in their day-to-day activities within their home and community. Our highly skilled, licensed Physical, Occupational, and Speech therapists establish treatment plans with our patients and their physicians customized to their specific needs. We also specialize in Vestibular Therapy, which is designed to improve balance, reduce dizziness and promote central nervous system compensation for inner ear deficits. 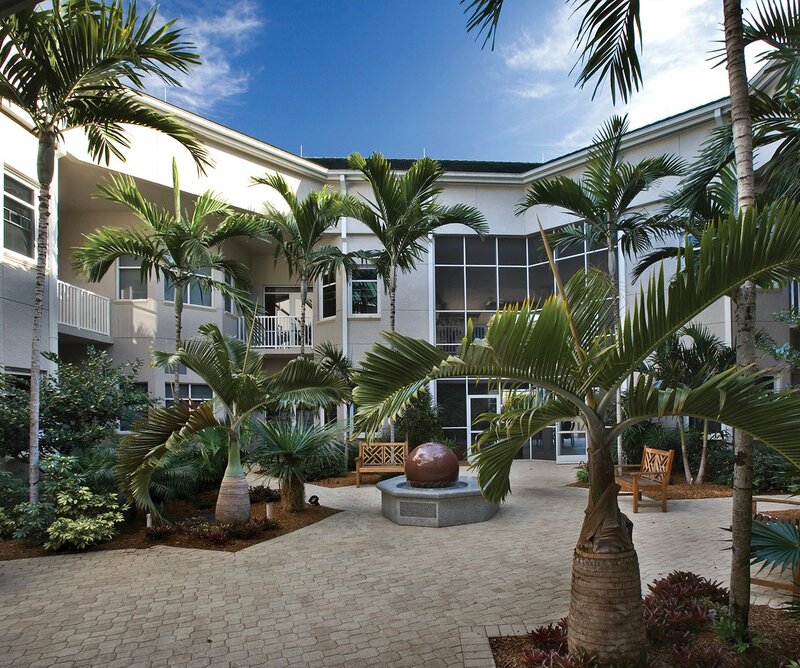 When you choose The Chateau, you gain access to our world-class continuum of care which includes Orchid Terrace Assisted Living, Moorings Park Home Health Agency and private duty care management as well as our Outpatient rehabilitation centers. We appreciate your interest in The Chateau®. Please provide the following information, so that we may respond to your request in a timely manner.